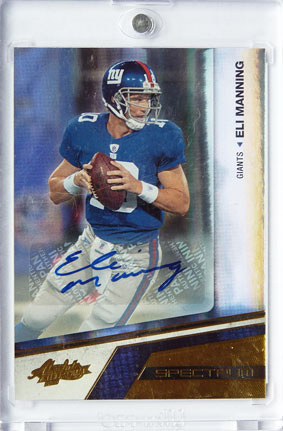 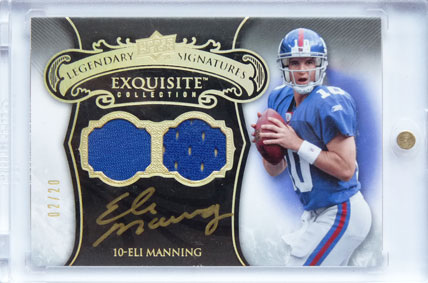 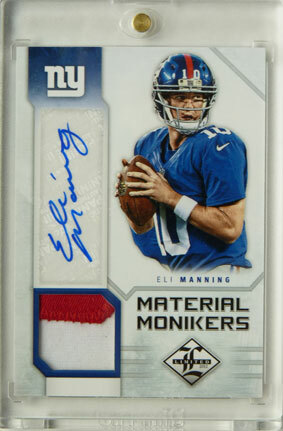 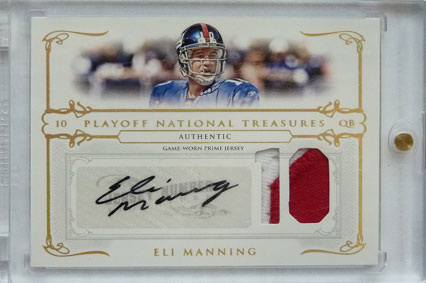 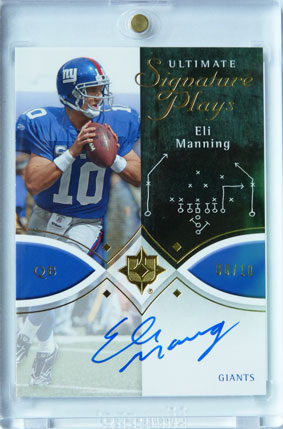 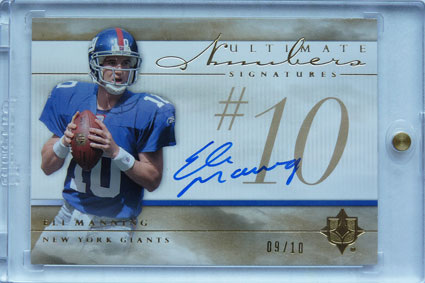 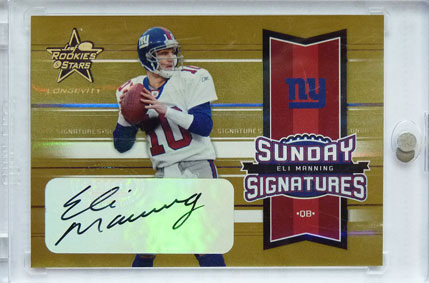 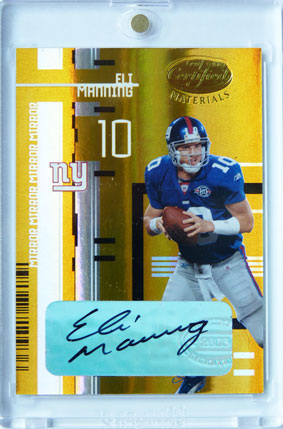 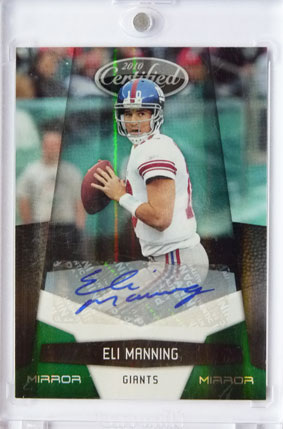 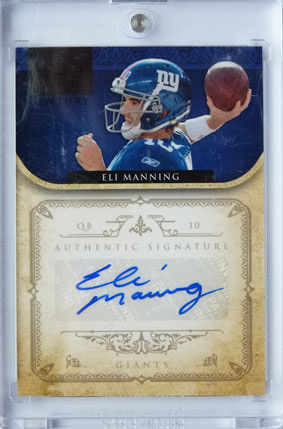 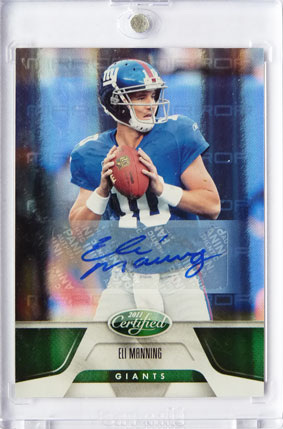 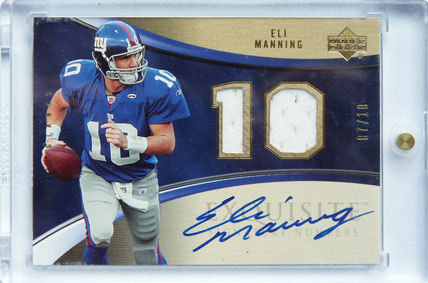 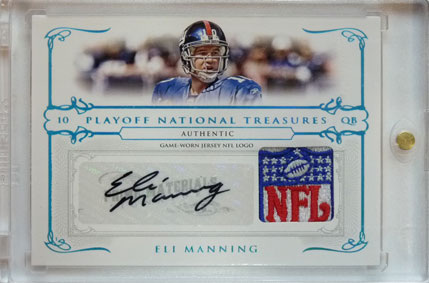 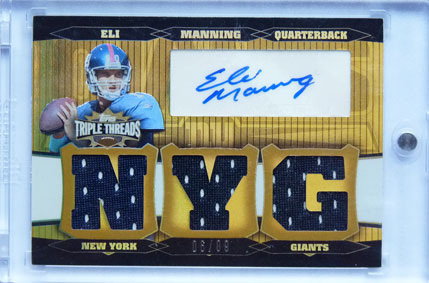 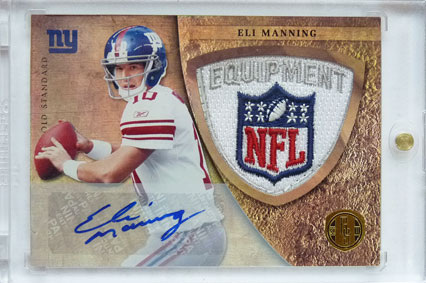 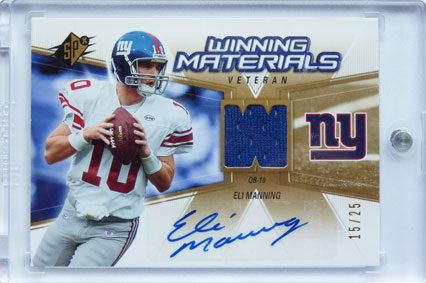 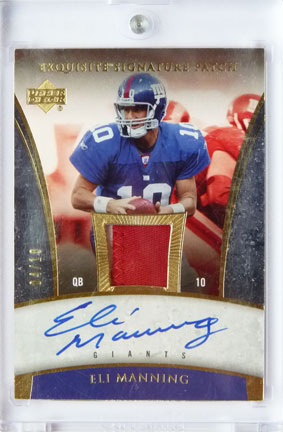 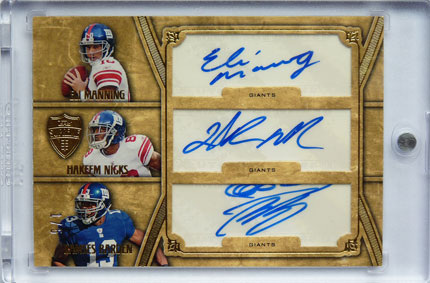 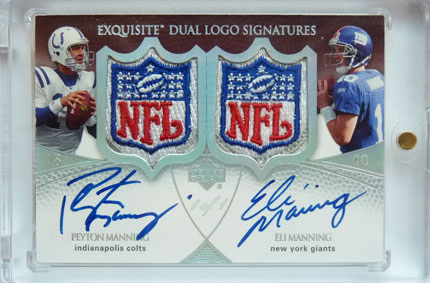 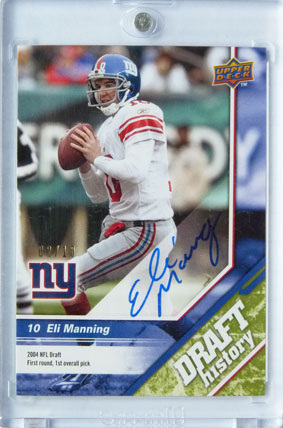 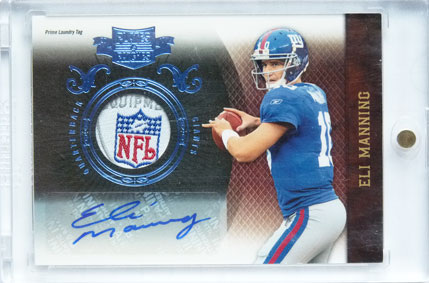 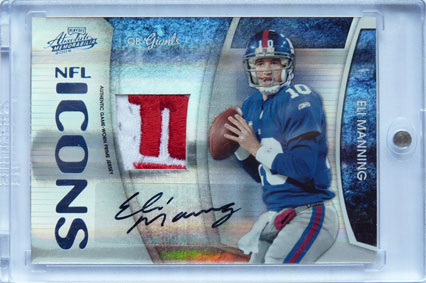 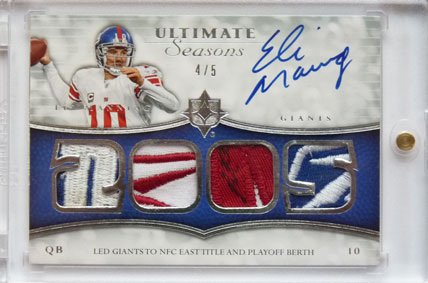 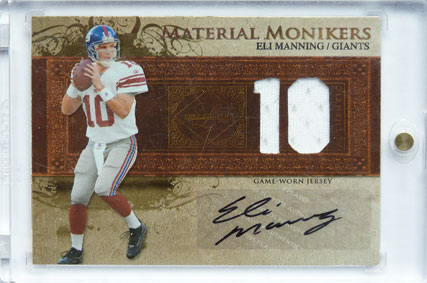 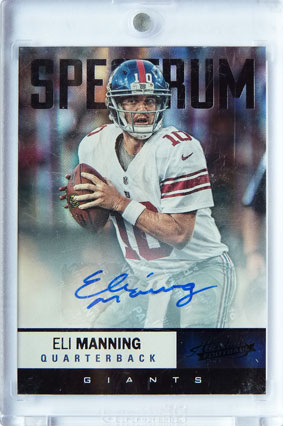 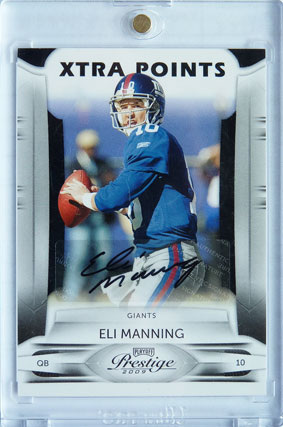 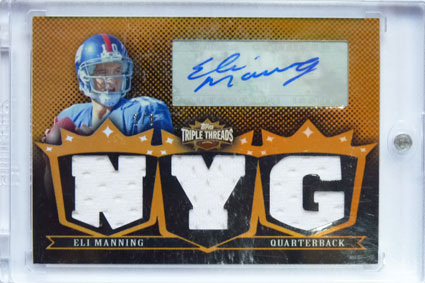 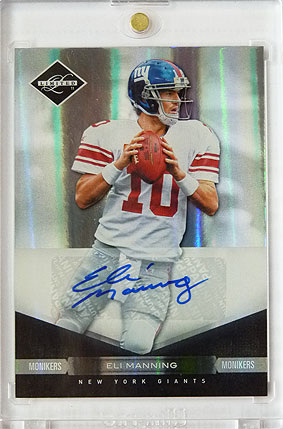 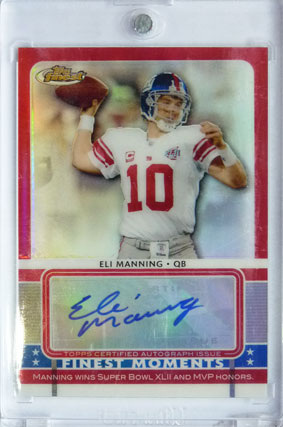 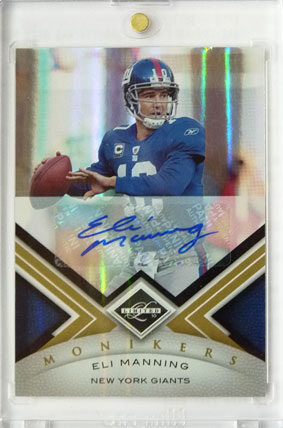 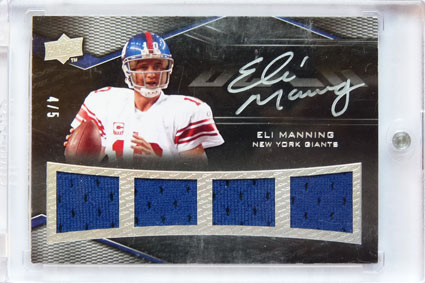 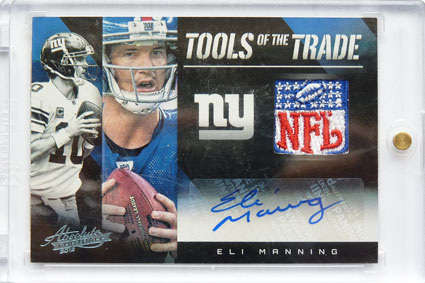 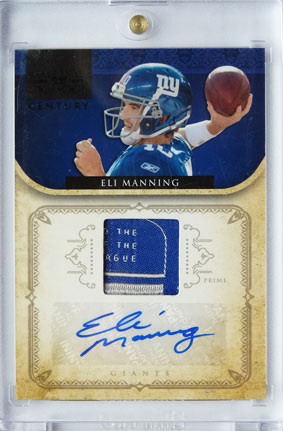 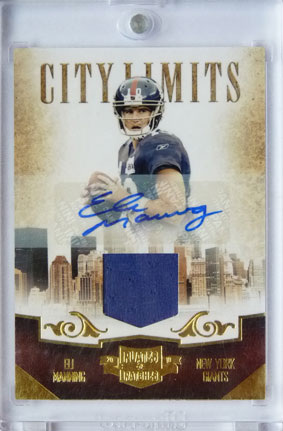 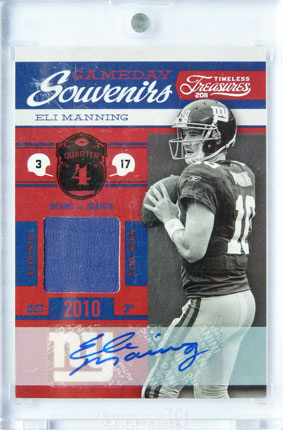 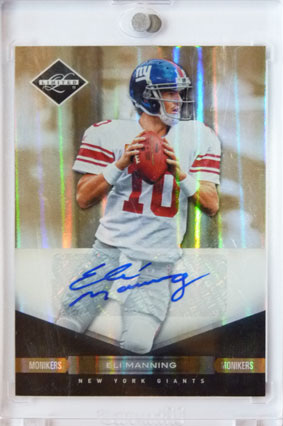 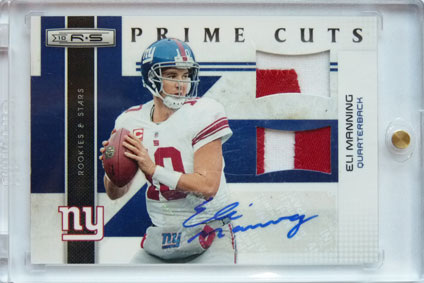 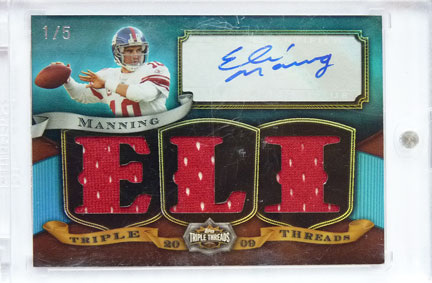 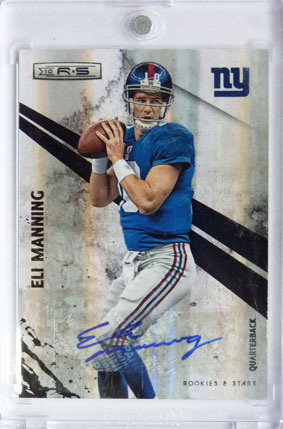 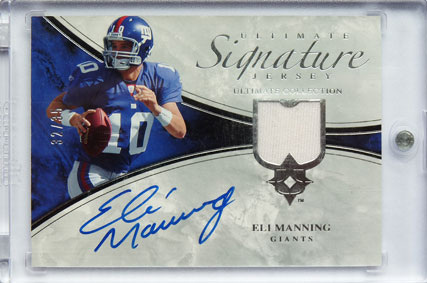 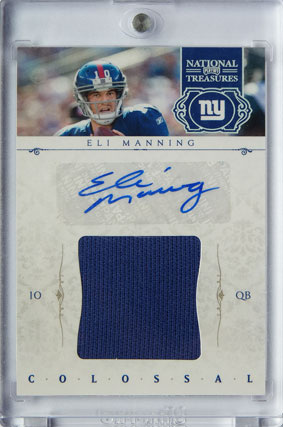 Welcome to my collection of autograph cards of New York Giants Quarterback, Eli Manning. 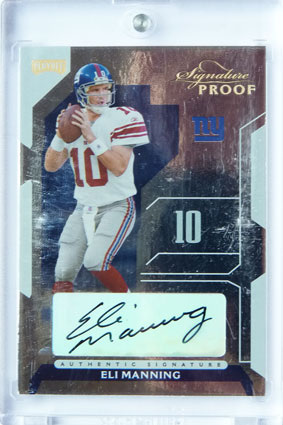 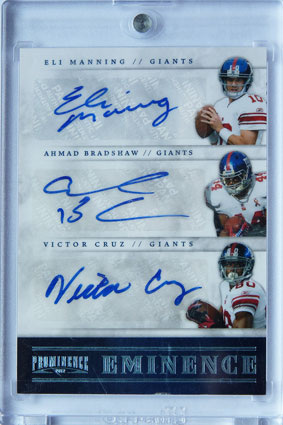 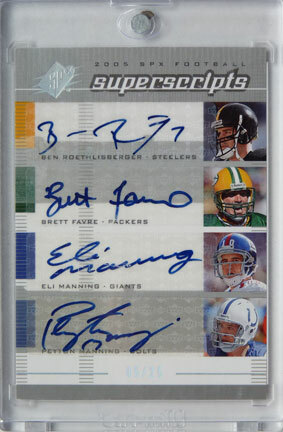 I'm trying to focus on autographed cards numbered to 10 but some higher numbered issues are simply too good to pass up ! 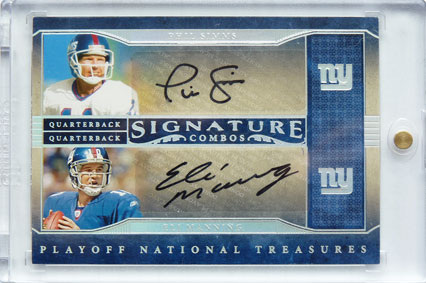 I do also pick up the odd Phil Simms or Kerry Collins autograph card and am active on several trading boards (Hobby Kings, Hobby Insider, Sports Card Forum). 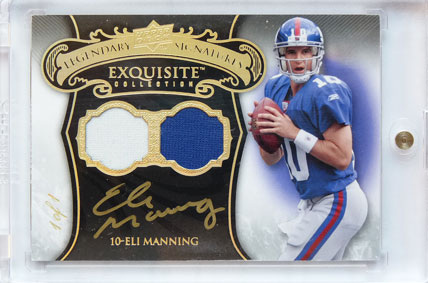 Thanks for taking the time to look at my collection.